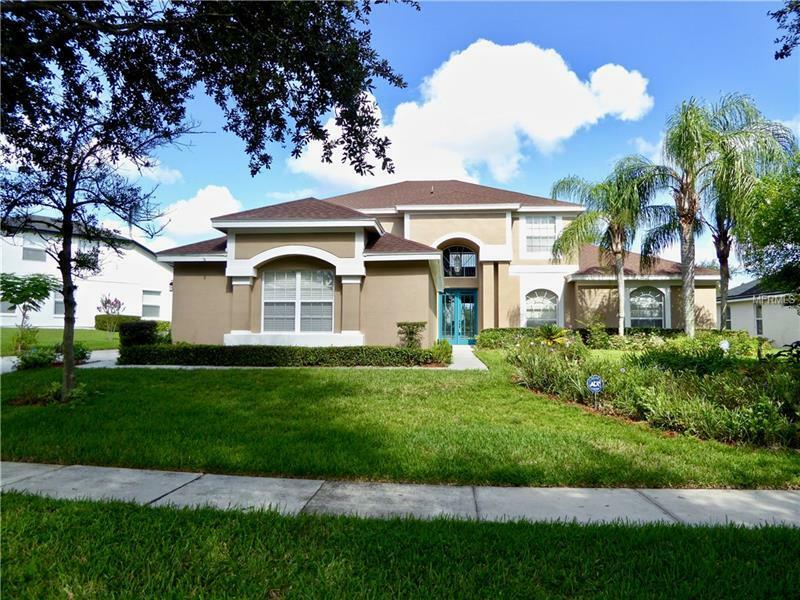 Come see this lovely home in a gated community! From the moment you walk in, you will be greeted by beautiful views of the pool which can be seen through the glass doors which can be open all the way. This home offers 5 bedrooms, 4.5 baths, 2 enclosed rooms on the first floor which can be used for many purposes i.e, study, craft room or even a play room. This home also has no rear neighbors.Located close to major roads, and zoned for great schools. The gated community offers a trail to the A rated Windy Ridge Elementary.